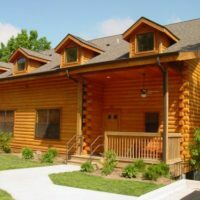 1-7 Bedroom Branson Log Cabin Rentals! Stay in comfort and style in one of Branson’s luxury, rustic log cabins! free Wi-Fi internet & parking on-site + NO cleaning fee! free Wi-Fi internet and on-site parking! 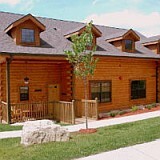 free NO cleaning fee, Wi-Fi internet, & on-site parking! Free Wi-Fi and on-site parking! 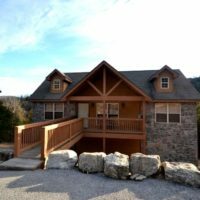 Experience the beautiful mountains, wilderness, and forests of the Ozarks when you stay at one of the beautiful cabin rentals in Branson, Missouri! 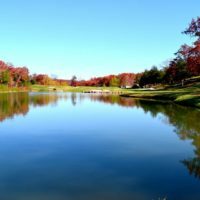 The serenity and beauty of the natural surroundings make Branson the perfect place to get away – whether you’re wanting a romantic rendezvous, a family vacation, or taking your group or reunion. 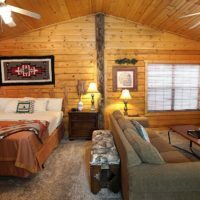 The perfect size for solo travelers, couples, small families, or friends traveling together – Branson’s one bedroom cabins typically offer sleeping accommodations up to 4 people. 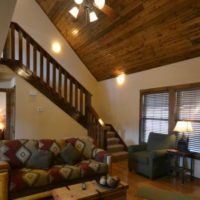 Featuring 2 bedrooms and 2 bathrooms along with a pull-out sleeper sofa, the two bedroom cabins rentals provide enough space for up to 6 guests. Spacious enough for everyone to get together in common areas, they also provide plenty of privacy when you need it. 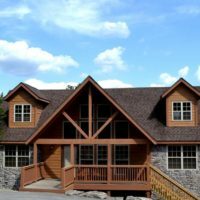 Balancing room and space, 3 bedroom cabins have limited availability due to the small number of units available in this size. We highly recommend booking in advanced if you’re needing this size cabin. 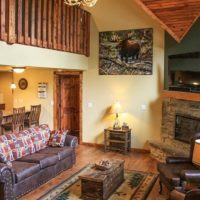 Some of the largest cabin rentals in Branson, these 4 bedroom units are very popular for families, friends, groups, and reunions traveling together. 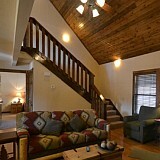 Able to accommodate up to 10 guests per cabin, they’re beautiful and spacious!